See, to me, sensory = messy. But the fact is, sensory activities and sensory play aren’t just helpful for autistic children, they’re vital. And even though sometimes it can take a few minutes to clean up, adding sensory activities to your day can be life changing! But if you need just a bit more convincing, let’s dive into three vital reasons that all autistic kids need sensory activities in their day. Convinced already? Adding sensory activities to your day is a lot easier than you might think, and it doesn’t even have to be messy! 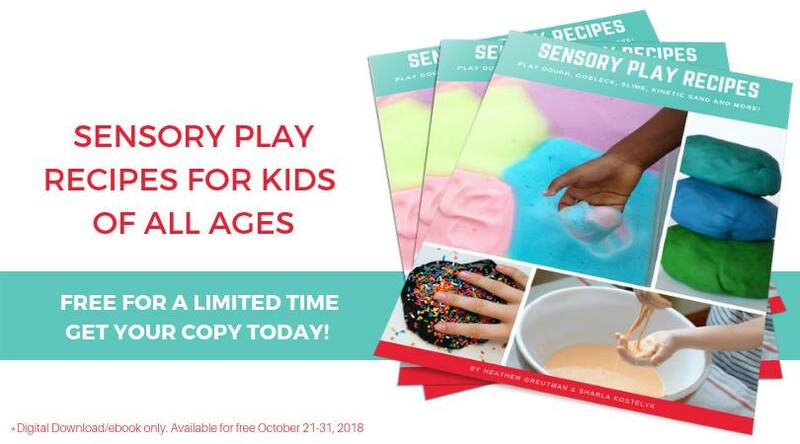 My friends Heather and Sharla put together this awesome ebook with 25 sensory play recipes, and it’s FREE until October 31st. But if you’re not sure sensory activities are right for your autistic child, let’s dive into the three vital reasons that all autistic kids need sensory activities in their day. Whenever my son is getting antsy, he starts to run around and touch EVERYTHING. His typical happy stim turns into a stressed out stim, and I know that he needs some sensory input pronto. Building sensory activities into our day, whether it’s some playdoh or a sensory bin or even slime, helps him stay regulated throughout the day. He feels better when his sensory needs are being met, and I do too! Children use their senses to learn about and understand the world around them from the time they are born, and sensory play helps with that development. Sensory play gives our autistic children a safe way to use those senses to experience the world around them. And if we want to be sceince-y, it actually helps to create new pathways in the brain. Sensory play also helps autistic children experience different senses in a fun and controlled way, so they are more willing to experience those senses in other ways. And finally, one of the biggest reasons I think that every autistic child should have sensory activities as a regular part of their day is that sensory activities help autistic children connect. I have the best conversations with my son when he has his hands busy in a sensory bin. His therapists learned so much about him through different sensory activities. 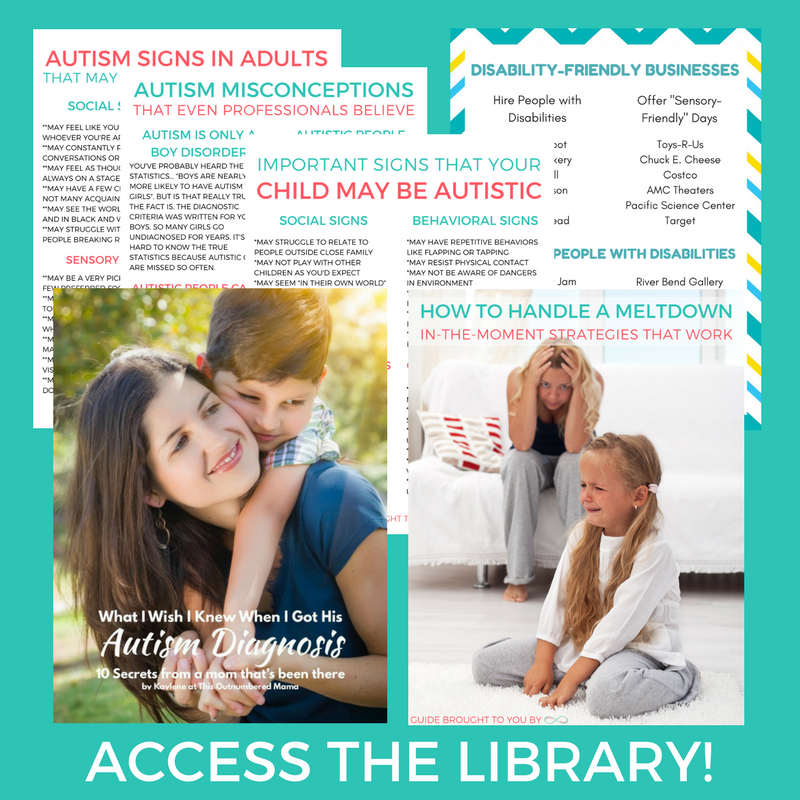 I get asked all the time how to connect with autistic children who seem to be “in their own world” and the absolute easiest way to do that is to join in on their world! Does your child LOVE the sand? Play in a sand sensory bin with them. Could they build with playdoh for hours? Dive in and make some playdoh pancakes! When your child is enjoying a sensory activity, they are calm and having fun and ready to connect with you on their level. 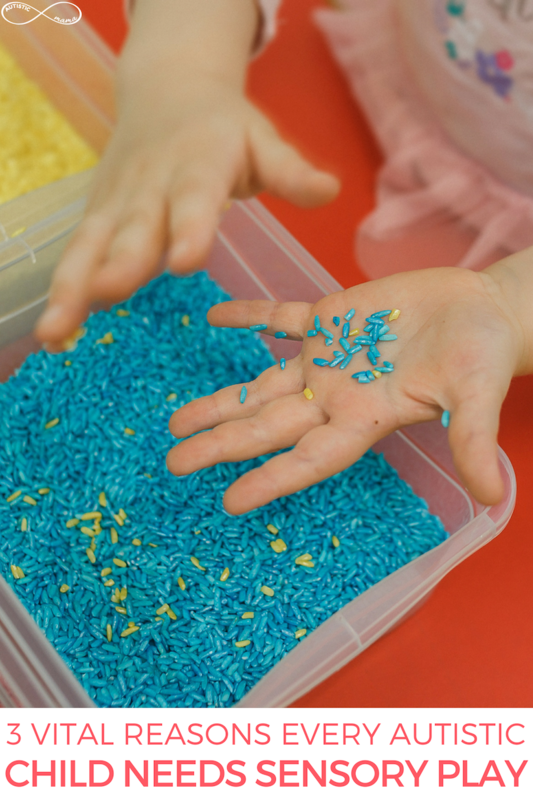 Looking for an easy way to add sensory activities to your day? Check out the Sensory Play Recipe book, free for a limited time only!